Sometimes you set intentions of what you want in life and then for some reason, you have a nagging feeling that it won’t happen or that you will be let down. You start worrying and inadvertently begin thinking thoughts that contradict what you truly want in life. You know that you aren’t exactly in tune. 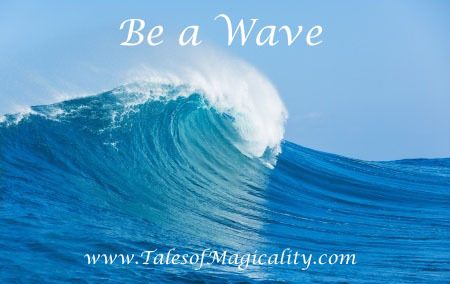 When this happens, remember to be a wave. A wave goes with the motions of the ocean. Waves don’t fight the inevitable; they don’t worry about breaking on the shore; they don’t resist their fate. This gentle reminder will instantly relax your mind and body. Ride your own wave wholeheartedly, and without resistance.